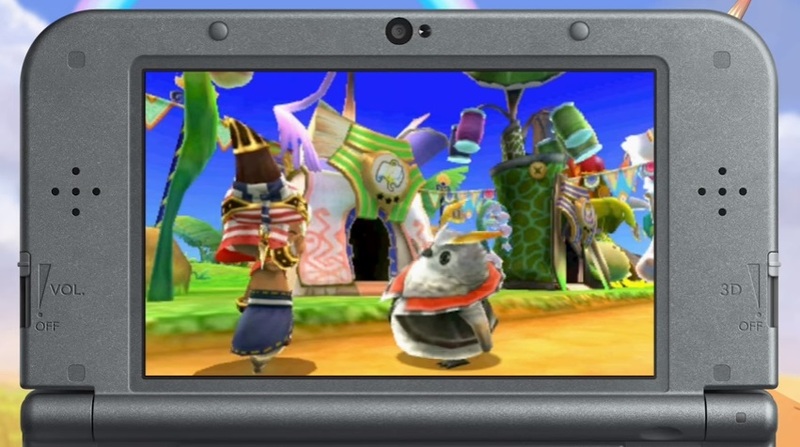 Nintendo just announced the brand new RPG Ever Oasis for the 3Ds at the Treehouse presentation today. The game has a chibi-art style and takes place completely in the desert. The main character is named Tethu (if you select a male lead… yes, you can select the protagonist’s gender). He’ll travel with two other companions from other tribes to harvest items, build oasis towns, and solve the mysteries of the game’s dungeons. An evil entity known as Chaos is tainting the desert making everything twisted and monstrous; it seeks out Tethu and steals his brother away and leaves the young seedling alone to die. But all members of his specific tribe can build structures known as ‘bloom booths’ and Tethu can even create entire oases. A water spirit known as Isnas (sp?) finds the abandoned seedling and helps him build the oasis that will serve as the game’s main hub. A large part of the game will be dedicated to building up your home and getting wanderers to visit your oasis. The more residents you attract, the more bloom booths you can build which act as shops. But you don’t buy things like you would in a normal RPG; you must stock up your shops with things that you find out in the wild. Then the booth’s commerce will increase which allows you to acquire new items. Yup, there’s an economic metagame within Ever Oasis that is tied with the need to organically build your homestead. Miura is poking monsters and taking names. 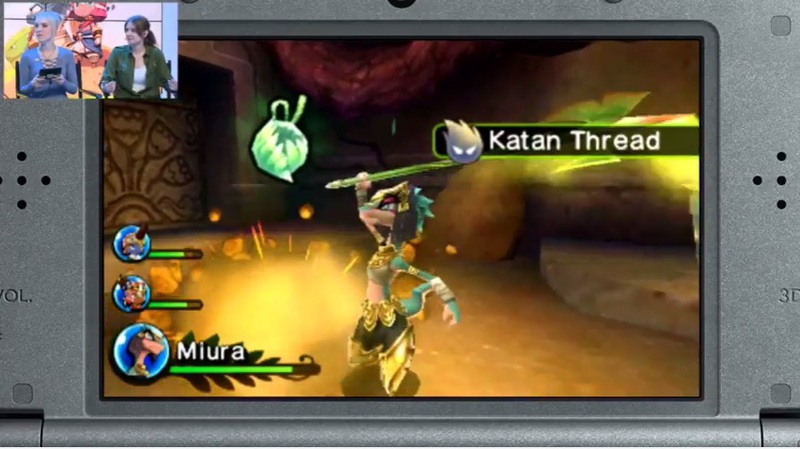 Tethu is given the wind ability that will help him create items and solve puzzles in the game’s dungeons. You can build a party of three and each companion will have a unique ability to add to progressing through the monster-filled rooms. A lizard like creature known as Miura, for example, has a long spear which is handy for poking switches and monsters at a distance. You can change your party member on the fly since the other two are AI controlled. This makes battles a little more interesting as you can dodge out of the way and switch to someone flanking an enemy. Some dungeons will require you to come back with different teams in order to progress and free the animals within from the body warping Chaos. 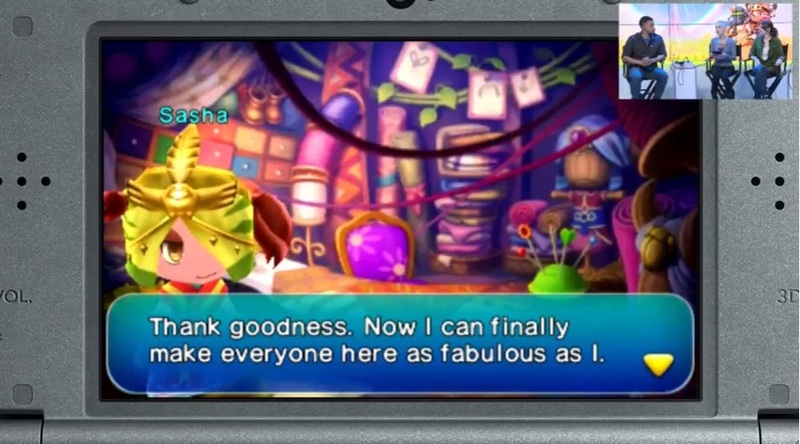 The game is not short on cuteness as the characters look short, stout, colorful and expressive. There’s even the de facto mascots in the noots: Owl-like creatures who will help you along your journey and rate your progress with silly reactions. They seem to hang out in a large tree that overlooks your oasis. Since this game has a day and night cycle you can see a rainbow when there’s light to gauge how well your home town is doing. Behold the mascot-icity of the noot! 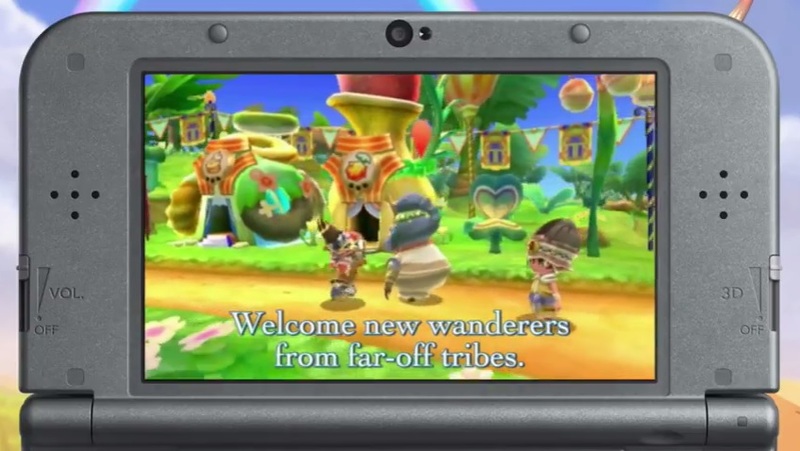 There’s no release date yet for Ever Oasis, but it looks great. The legendary Koichi Ishii (early Final Fantasy, SaGa, Mana) and his company Grezzo have put the thought and care that went into his early classics. The 3DS will be the place to be when this gorgeous RPG rains down upon the thirsty landscape and we’ll be there to tell you of any developments that happen along the way.